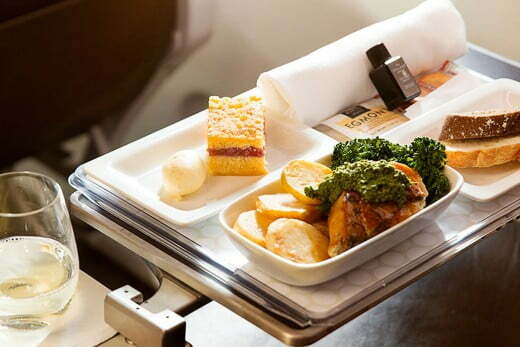 Enjoy an experience more Premium than Economy. 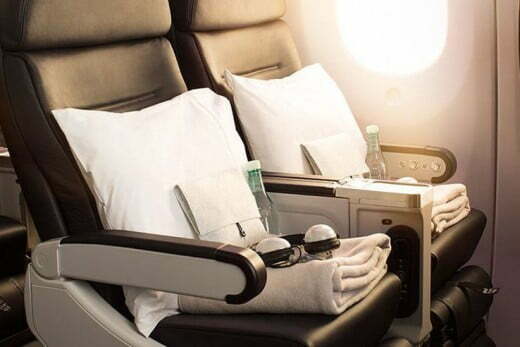 Premium Economy is available on all Boeing 777-200, 777-300 and 787-9 long haul services operated by Air New Zealand. Welcome to Premium Economy. 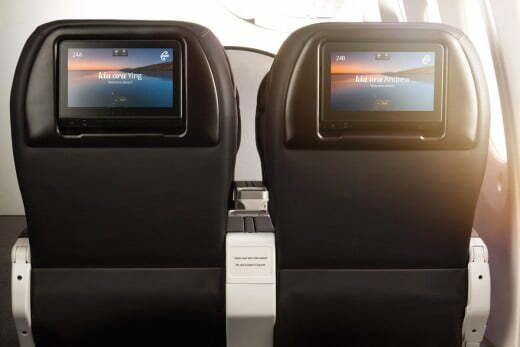 Make yourself at home in a luxuriously soft and roomy leather armchair, browse our inflight entertainment, catch up on work, or relax and enjoy our famous Kiwi cuisine. Whatever you need, we're here to keep you smiling. We've customized beautifully comfortable ink-colored luxury leather seats for you, with generous armrests, a leg rest and extendable foot support. Enjoy more legroom with the largest seat pitch in its class and relax with 50% more recline than Economy. We have customised a beautifully comfortable ink coloured luxury leather seat with generous armrests, a leg rest and foot support. Seats have a 41” (104.1cm) pitch, 9” (22.9cm) recline and width of 19.3” (49cm) with a 5” (12.7cm) wide armrest. Our menus are full of fresh, high quality ingredients, delivering deliciously satisfying flavours with a modern Kiwi twist. We also offer a wide selection of premium New Zealand wines to complement each meal. The extensive wine list features some of New Zealand's most awarded winemakers and the country's best loved wine varietals, selected by top wine consultants. 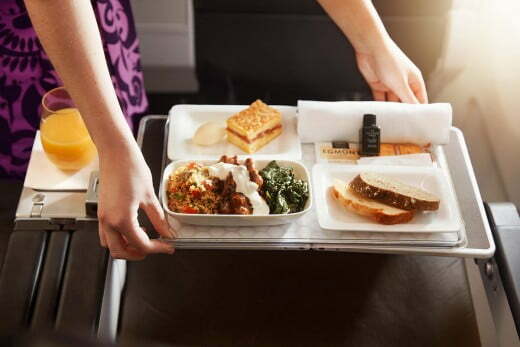 See a sample Premium Economy menu or learn more about our cuisine and wine. The vast selection of activities on our inflight entertainment will keep even the most fidgety of flyers engaged for the whole flight. Enjoy over 1,700 hours of content - including latest movies, TV box sets, video games, and a dedicated kids section - all on a personal touch screen in widescreen format. If you need more, there are always the USB and iPod connections to plug in to. We realise it's those little extras that can make a trip and that's why our Premium Economy customers will enjoy premium check-in. 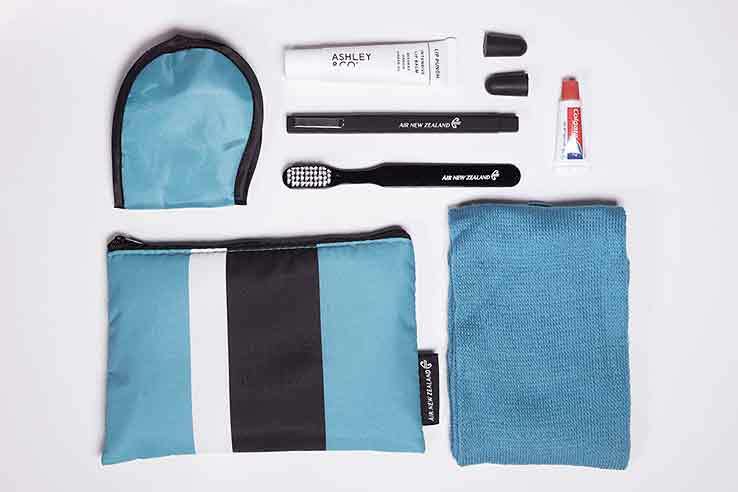 On board you'll also find an amenity kit with key toiletries and other items to ensure a comforting journey. The amenity kit is available only when travelling long haul, Perth and Hawaii.